Pet his nose to hear him 'bark'! Electronic sound mechanism plays up to 1,800 times. 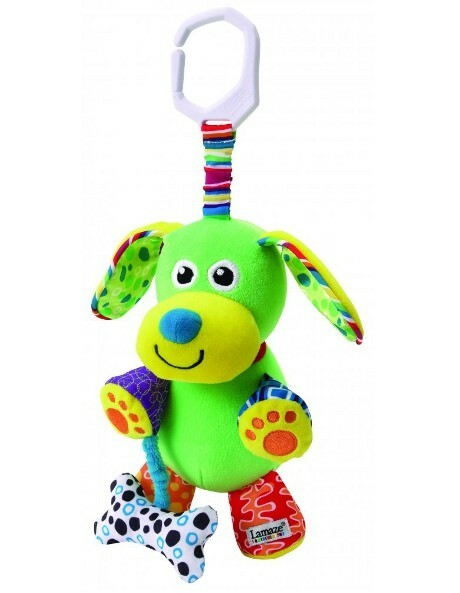 Baby will also delight in discovering other fun squeaks, crinkles, and rattles. Added link makes him easy to take along anywhere.